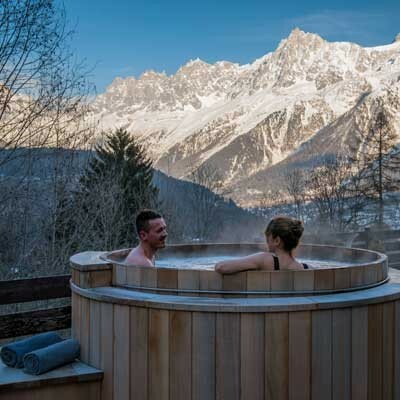 The Deep Nature spa welcomes you into its natural world in an exceptional setting with a jacuzzi, a Swedish bath and a Norwegian shower on the terrace in front of Mont Blanc... The interior space, with its chic mountain decor, invites you to sample the pool, sauna, hammam and relax in a cosy area with herbal tea lounge. The spa also has four treatment and massage rooms, including a double, to enjoy moments of relaxation for two. Discover the Deep Nature spa at Granges d'en Haut, a space to treat yourself to an unforgettable moment of relaxation in the heart of the mountains. On site in our luxury cabins "Les granges d'en haut"
The Deep Nature spa offers facials and body treatments in partnership with Codage Paris cosmetics, along with Deep Nature signature massages, for moments of pure relaxation. Yoga, Pilates and Postural Ball wellness workshops are also available all year round, led by qualified teachers. And why not reserve a wellness break with the "Douceur & Spa" session, for just 1 € extra! 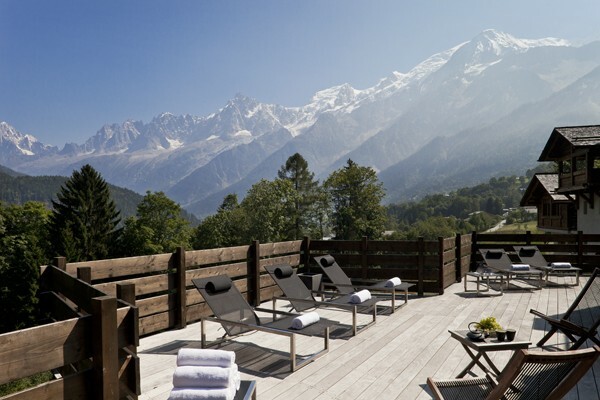 Experience the heights of luxury in the heart of the mountains facing Mont Blanc. 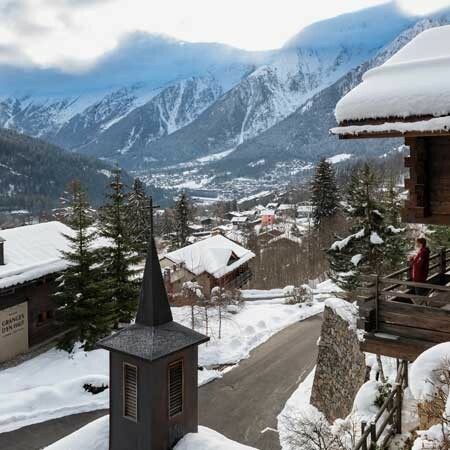 Less than ten minutes from the center of Chamonix, nestled in the forest, Les Granges d’en Haut offers 14 luxury traditional chalets combining bespoke hotel services with elegant and cosy chalets.